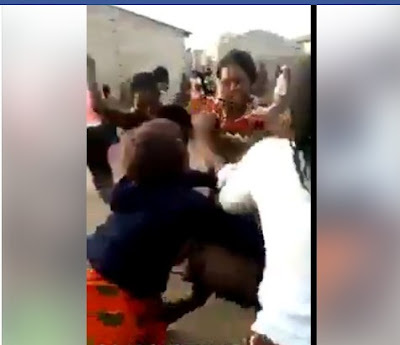 A young lady was beaten mercilessly by a group of angry women publicly in broad daylight. The victim who was surrounded by her community women - was descended upon, beaten to stupor and partially stripped after incurring their wrath. 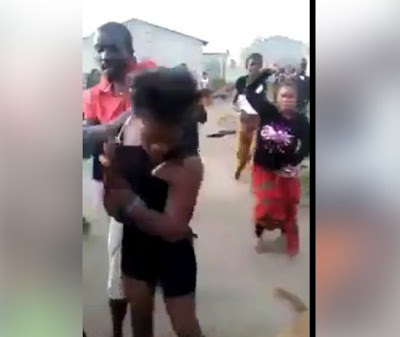 In a trending footage posted online, the lady's crime was not specifically revealed as some alleged that the mob action had to do with a man. 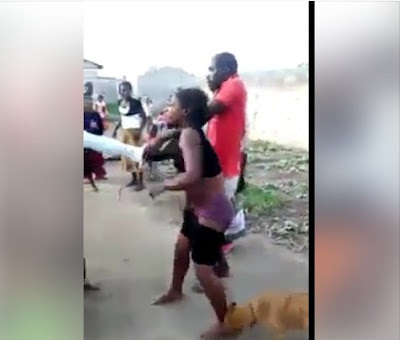 Even a dog in the community partook in the jungle justice by trying to pull down her underwear. 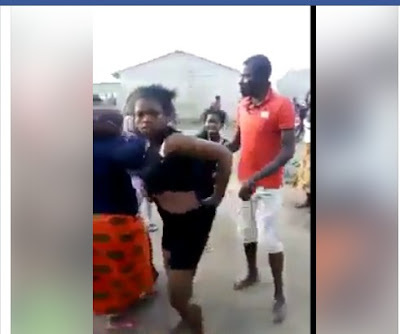 The lady was later by the mob to the house of an unknown person to finish what they started.